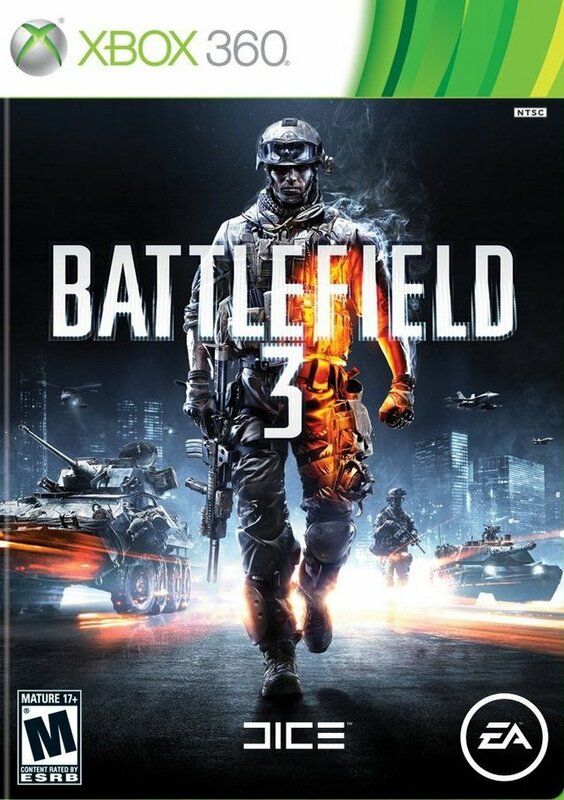 The Battlefield series has become one of EA’s most popular franchises, providing some of the most explosive and addictive multiplayer experiences in any shooter on the market today, rivaling even that of Call of Duty. Battlefield 3 is no exception; marking the best entry in the series to date, DICE has gone all out to deliver a polished, one-of-a-kind multiplayer experience that you will have a hard time putting down. Battlefield 3 is known first and foremost for its multiplayer but the single player campaign provided does deliver on many counts. The story in Battlefield 3’s campaign does a good job of keeping you interested in events as they unfold, taking you from underground bank vaults in Tehran to shoot-outs on the streets of Paris. Along the way you will also control various vehicles, a staple of the Battlefield series, including tanks, helicopters and you'll even ride gunner in an aerial assault aboard a fighter jet. Every location you travel to looks amazing, from the glossy interface and weapon HUDS to the city streets and dilapidated buildings. DICE’s Frostbite 2 engine really packs a punch in terms of the amount of detail that can be shown on screen at once. Buildings crumble piece by piece, vehicles emit exhaust fumes, and enemies will shoot blood out of their body when hit with bullets. Once done with campaign mode, you can try your hand at co-op. Here you and a friend can tackle missions different from those of single player and work together to tackle objectives. There really isn’t anything here you are missing out on if you can’t find anyone to play with you, however earning experience and money to buy new weapons to use in co-op is a nice touch that should keep fans coming back. Battlefield 3 is all about the multiplayer and that is where the game truly shines. Just the size alone in every match you join will leave you awe. Since vehicles make common appearances in multiplayer, you will find yourself often looking out at a large battlefield deciding your next move as tanks roll in and jets fly above. There are three modes you can try, Deathmatch, Conquest, or Rush (a team based objective mode where players have to defend and destroy targets). While each mode is undoubtedly fun on its own, Conquest mode is perhaps where all the fun ensues as you race to capture flags scattered around the massive maps and fight to control them. What makes this mode so thrilling is the fact that not only can ground troops take control of flags from you, but vehicles can as well, so forming a team-based strategy is not only necessary but essential to victory in every battle. 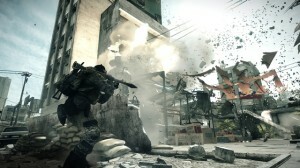 Battlefield 3 also features an in-depth character class system which allows players to fight in any style they want. If you prefer providing help to hurt teammates then you can choose the Assault class and heal teammates and revive them if they should fall. Engineers can fix broken vehicles or take them down with explosives; Recons can use sniper rifles and provide sharpshooting from afar while Support classes can lead the charge with powerful weapons and C4 explosives. Choosing which class to use during certain situations can be the difference between victory and defeat, but alternating between them all grants you experience that levels up your weapons and skills. 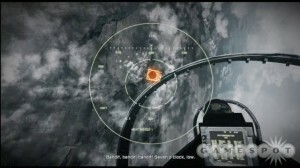 New in Battlefield 3 is a feature that rewards you with weapon-specific upgrades the more you use it. While leveling up will grant you class specific perks such as defibrillators and repair tools, getting enough kills may allow you to equip your gun with a tactical light that can blind enemies or a grenade launcher to help with those pesky vehicles. Being in a vehicle is just as fun as being on foot in Battlefield 3. However, the controls still seem to be a little too complicated for their own good. While the tank controls effortlessly enough for anyone to understand, the helicopter and jet controls need A LOT of practice to master. It is a shame EA did not put in a practice mode of some sort so players could learn the mechanics of all the vehicles, because it really does not have the same desired effect when most players do not use any vehicles during battle. In terms of production value, Battlefield 3 is the smoothest game out right now and you simply will not find a better-rounded shooter to play. While the campaign mode looks pretty and plays all right, multiplayer is what gives Battlefield 3 its own identity and will have players clamoring to hop online day after day to play. The various classes allow players to battle enemies as they see fit and the wide scale of the levels will surely give everyone a chance to play a shooter that requires much more strategy and skill to achieve victory, rather than luck. There is a reason Battlefield has maintained as one of EA’s top franchises for all these years and it shows in great form in Battlefield 3. 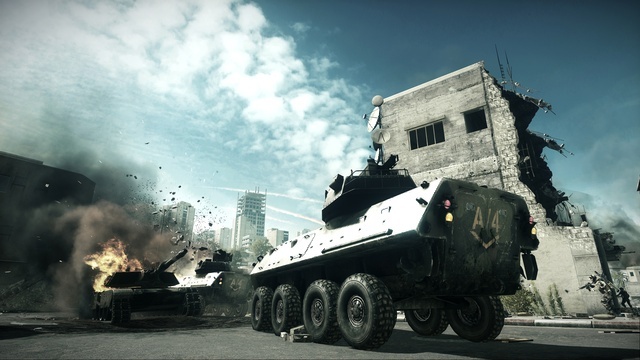 If you want to play a multiplayer game that will keep you coming back for more, grab Battlefield 3 immediately.